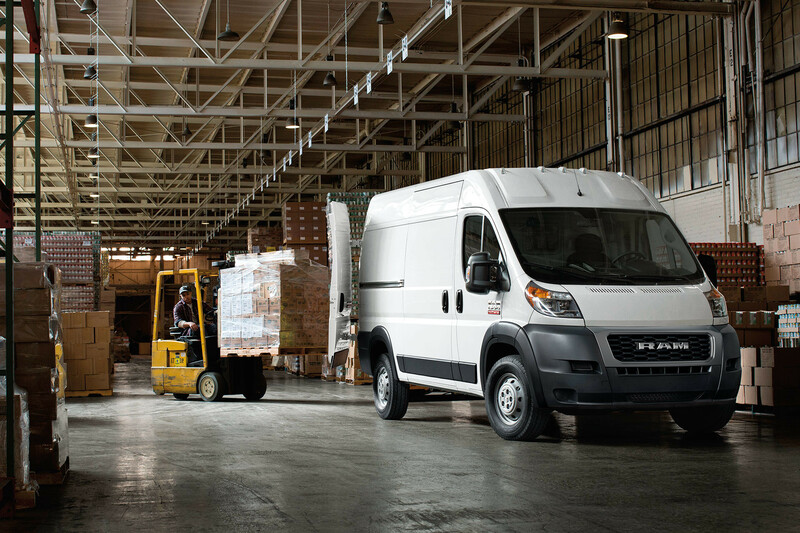 The ProMaster 3500 Cargo Van offers more space for your work needs with Best‑in‑Class standard cargo capacity up to 13,110 L (463 cu ft) Based on WardsAuto Large Van segmentation. 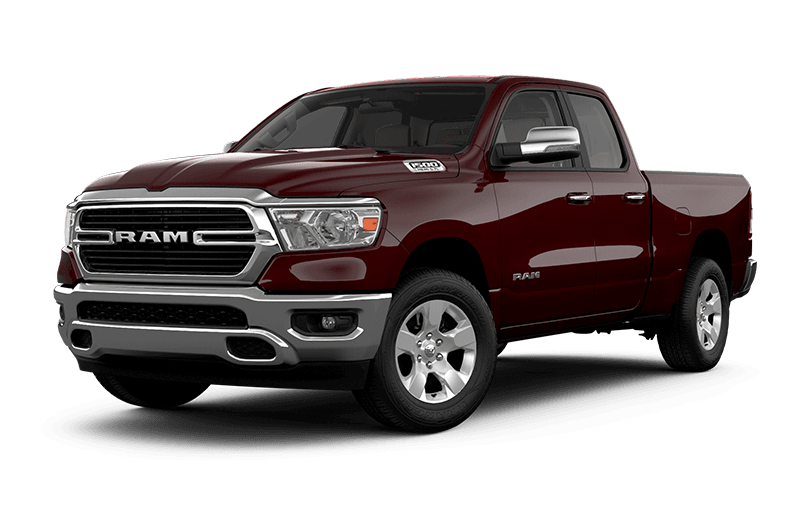 The Class‑Exclusive front‑wheel‑drive system Based on WardsAuto Large Van segmentation. 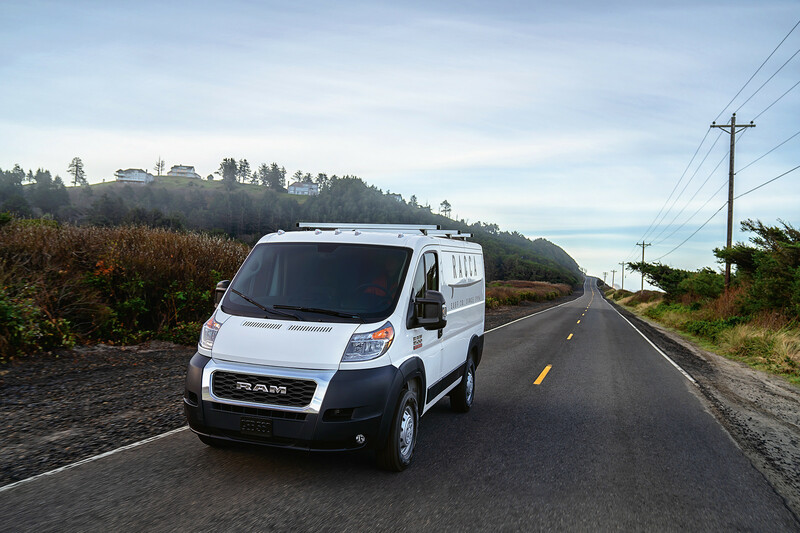 on the ProMaster supports impressive handling in the city, on the highway and at the worksite. 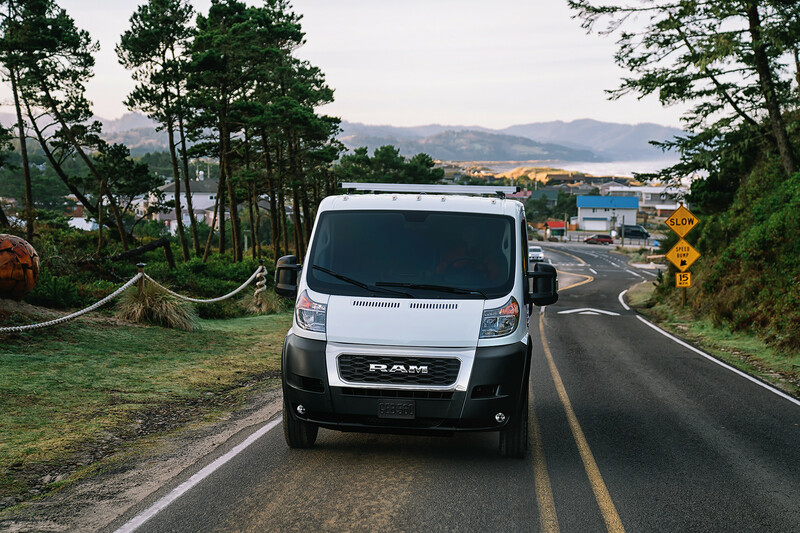 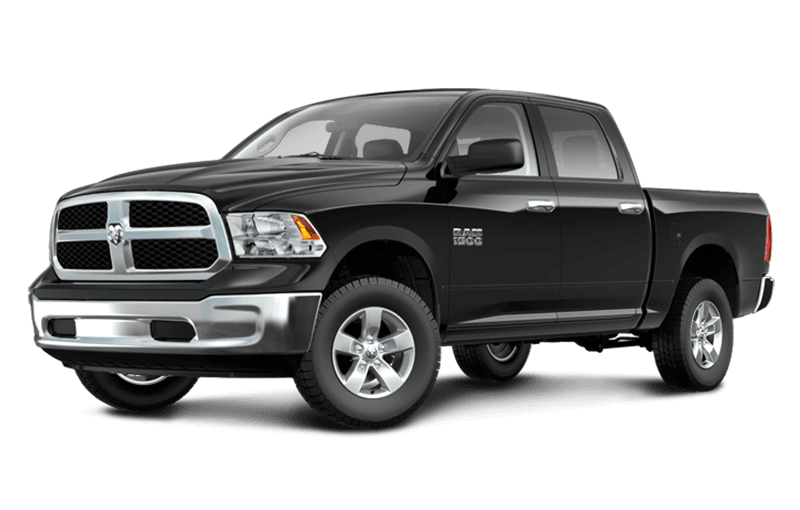 The Ram ProMaster® work van has a new silver grille for 2019, featuring a new “RAM” badge.